$4.00, at least. That's what a 375 ml container of effervescent kéfir costs you in the grocery store. That’s expensive. It’s a shame it’s so darn good. What if I told you that you can make your own for a fraction of the cost? Well you can. 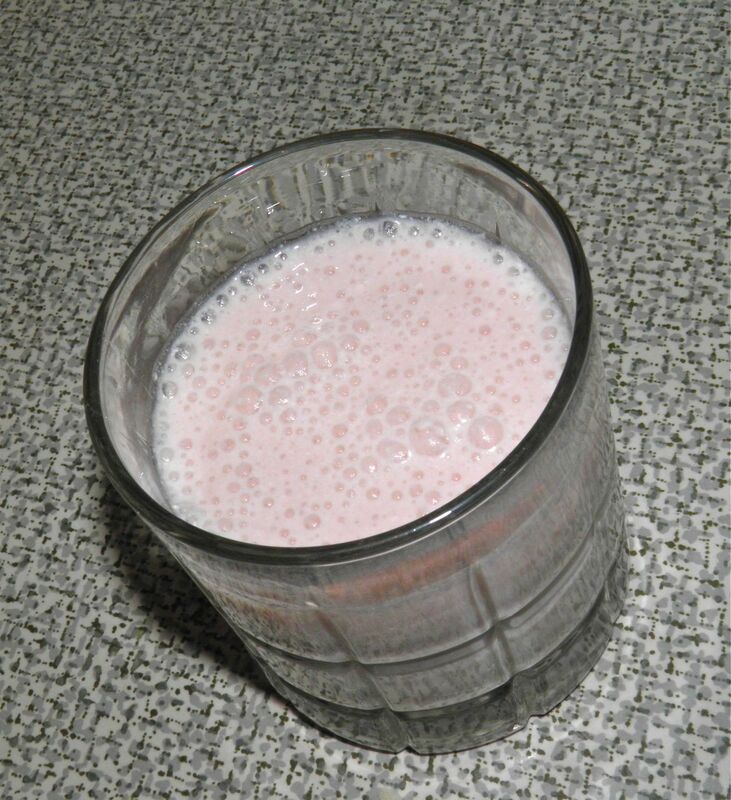 Kéfir is amazingly good for you. It helps with immune function, colitis and many other intestinal issues. 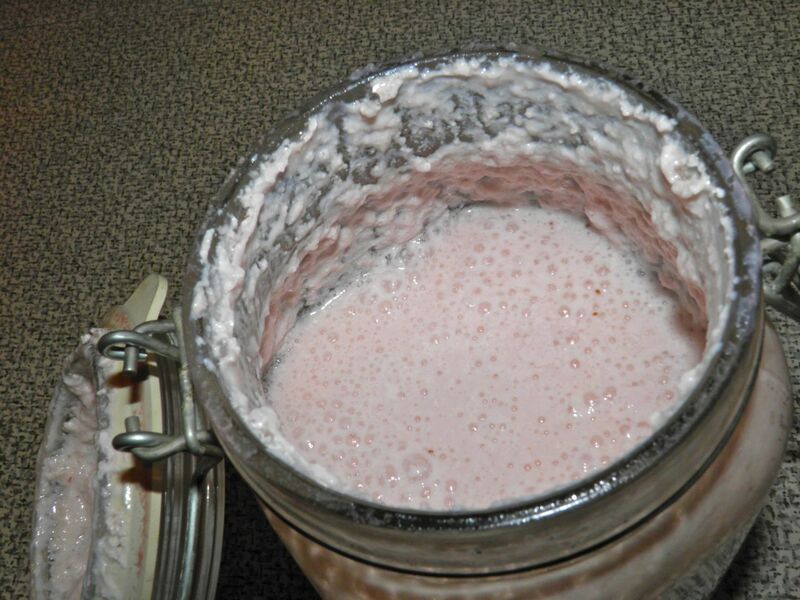 The bacteria in kéfir recolonize the intestines and aid in digestion of other foods we eat, as well as allowing more of the nutrients in that food to be bio-available to us. Good stuff. 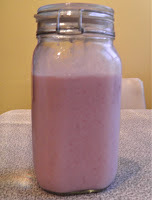 I make my own homemade kéfir using grains I purchased from a vendor at Halifax Seaport Farmers Market. They were about $5 and I’ve been using them for well over a year. 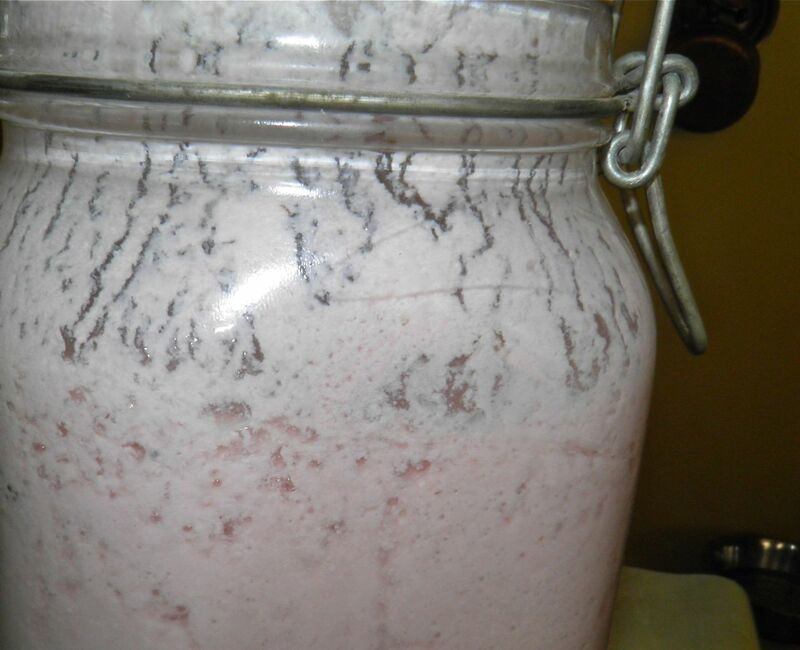 When you make kéfir at home using grains they actually grow during the process. So you end up having more grains, rather than using them up! Stay calm. Nothing unusual here. If only more things in life were like that. Don’t worry about being forced out by mountains of kéfir grains. Share with your friends and set them up for making it. So what do you get for your travails? 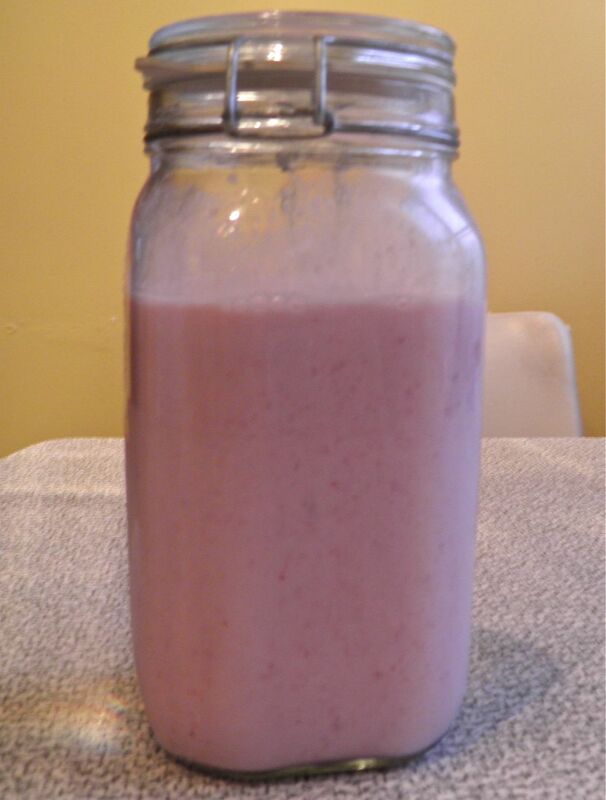 You get about 1.5 L of fantastic, bubbly, ever-so-slightly sour, healthy goodness – that tastes like strawberries! Honestly, if you have ever purchased one (they’re shaped like a take-out coffee cup with a foil seal) it has crossed your mind to make this for yourself. It tastes like “more.” How it all works is that over a day or two the fruit and sugar acts with the live bacteria in the kéfir and creates carbon dioxide. 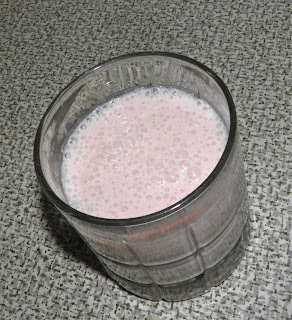 The result is carbonated kéfir. It dances on your tongue. One caveat. This does not look pretty while it’s happening. It looks like something you should throw out. But fear not. Give it a little shake before you pour a glass and all is good to go. Actually there’s two caveats with this. Caveat, the second: make 1L in a 2L jug with a good seal (or 1/2 L in a 1 L). This stuff can really carbonate. When you open it you may be surprised at how much pressure has developed. Open it IN the sink, not on the counter. That’s the voice of experience. I’m not sure if you can make this with the kéfir powder you can buy in the grocery store, but probably. You could probably even make it from a purchased carton of kéfir. After all, it’s the live organisms in it that do the trick. If you can get your hands on grains you should give it a try. You can let them “rest” between kéfir-making bouts, and you can even freeze them (rinsed and packed in powdered milk) for extended periods of time. 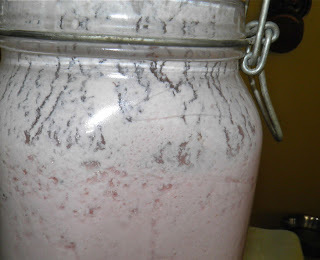 If anyone does make it from pre-made kéfir leave me a comment. I would love to know. Still normal. Just stir it together. Place the strawberries and sugar in a saucepan. Bring to a boil and let simmer for 5 minutes. Push the mixture through a sieve to remove the strawberry seeds and most of the pulp. Combine the liquid with the kéfir, seal well in a heavy jar (like a Mason jar) and let sit for 1 or 2 days on the counter. Time depends on the warmth in your room. The kéfir will separate and look kind of gross, but fear not. After it’s carbonated just mix it back together with a spoon and refrigerate. I’ve had some in the ‘fridge for nearly two weeks and it’s still great.